Hello Friends, Today we are sharing a Current Affairs July 2018 to October 2018 PDF. This notes is prepared by Raj Holkar and credit goes to him. SSCNOTES is the best website for current affairs notes provided. 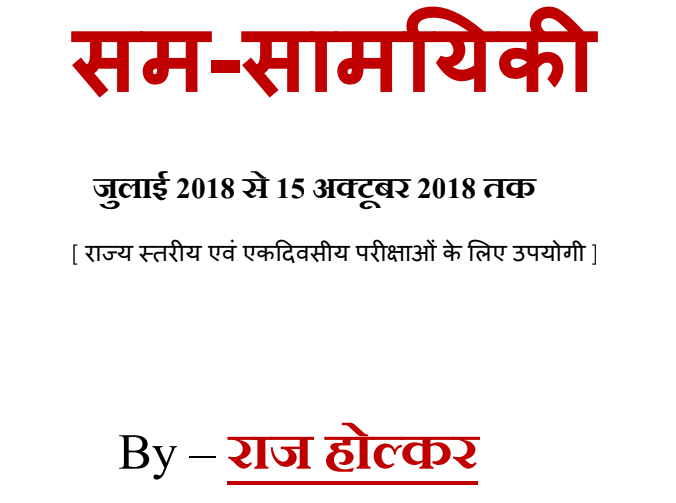 Aspirant who are preparing competitive exams may download the gk pdf or current affairs September 2018 pdf from the link provided given below.